Osteoporosis -2.5: What Does That Bone Density Test Score Mean to You? Concerned about weakening bones? Ask your doctor about a DEXA scan. 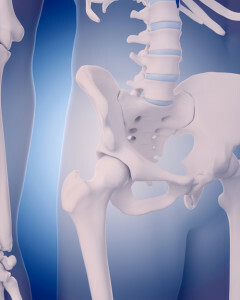 A score of osteoporosis -2.5 or lower will prompt treatment involving diet, exercise, and possibly medication. A patient undergoes a bone mineral density scan. Her "T-score" will determine whether she has osteoporosis; -2.5 or lower reflects brittle bones and a need to exercise extra caution to avoid fractures and breaks. According to the National Institutes of Health, osteoporosis is a disease that weakens bones and makes them more prone to breaks. To determine whether you have osteoporosis, your physician will order a bone mineral density test to take a “snapshot” of your bone health. The test can identify osteoporosis and determine your risk for fractures (broken bones), and can also measure your response to osteoporosis treatment. A score of osteoporosis -2.5 or osteoporosis -3.0 means you have the brittle bones that define osteoporosis. The most widely recognized bone mineral density (BMD) test is called a central dual-energy x-ray absorptiometry, or central DEXA scan—also written as DXA scan—with the results expressed as a T-score. It’s painless—a bit like having an x-ray—and can measure bone density at your hip and spine. Peripheral bone density tests measure bone density in the lower arm, wrist, finger, or heel. These tests are often used for screening purposes and can help identify people who might benefit from additional bone density testing. Normal: Bone density is with 1 standard deviation, or SD (+1 or -1) of the young adult mean. Osteoporosis: Bone density is 2.5 SD or more below the young adult mean (-2.5 SD or lower). Severe (established) osteoporosis: Bone density is more than 2.5 SD below the young adult mean, and there have been one or more osteoporotic fractures. Most commonly, your BMD test results are compared to the ideal or peak bone mineral density of a healthy 30-year-old adult. If your resulting T-score is 0, it means your BMD is equal to the norm for a healthy young adult. Differences between your BMD and that of the healthy young adult norm are measured in units called standard deviations (SDs). The more standard deviations below 0, indicated as negative numbers, the lower your BMD and the higher your risk of fracture. A T-score between +1 and −1 is considered normal or healthy. A T-score between −1 and −2.5 indicates that you have low bone mass, although not low enough to be diagnosed with osteoporosis. A T-score of −2.5 or lower indicates that you have osteoporosis. The greater the negative number (osteoporosis -3.0, for example), the more severe the osteoporosis. The information provided by a BMD test can help your doctor decide which prevention or treatment options are right for you. A bone mass that’s low but not low enough to be diagnosed as osteoporosis is referred to as osteopenia. A bone mineral density test uses as a baseline the T-score of a normal, healthy-boned 30-year-old. Although not everyone who has low bone mass will develop osteoporosis, everyone with low bone mass—osteoporosis -2.5 or higher—is at greater risk for the disease and potential resulting fractures. As a person with low bone mass, you can take steps to help slow down the process. Your doctor will want you to develop—or keep—healthy habits such as eating foods rich in calcium and vitamin D and doing weight-bearing exercise such as walking, jogging, or dancing. In some cases, your doctor may recommend medication to prevent osteoporosis. Several effective medications are available to slow or even reverse bone loss. If you do take medication to treat osteoporosis, your doctor can advise you concerning the need for future BMD tests to check your progress. 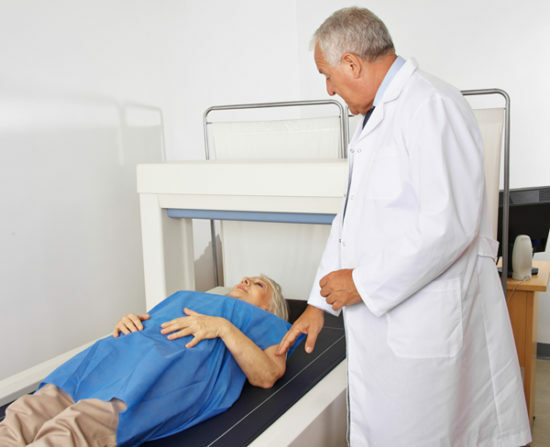 Who should get a bone density test? The U.S. Preventive Services Task Force recommends that all women over age 65 should have one. Women who are younger than 65 but at high risk for fractures should also have a bone density test. Originally published in 2016 and regularly updated. bmd, bone, bone density, bone density levels, bone density test, bone density tests, bone diseases, bone health, bone loss, bone mass, bone mineral density, brittle bones, calcium, define osteoporosis, dexa scan, dxa scan, exercise, health, healthy habits, low bone mass, normal bone density, osteopenia, osteoporosis, osteoporosis -2.5, osteoporosis 3, osteoporosis bone, osteoporosis bone density, osteoporosis is, osteoporosis treatment, peak bone mass, prevent osteoporosis, t score, treat osteoporosis, vitamin, vitamin d, x ray absorptiometry. Does it help to lose weight if losing weight may cause calcium loss when you may have osteoporosis anyway? Your article is helpful in advising to ask for the bone test. I thought you might be interested in this article on https://universityhealthnews.com: Osteoporosis -2.5: What Does That Bone Density Test Score Mean to You?